While it might (still) be cold outside, we're very much hankering for warmer weather and the shopping list that comes along with it. Much like the excitement we used to get from buying stationery for the new school year in September, we feel a certain way when March rolls around and we can create a new-season wardrobe. If you're desperate to get your hands on the freshest pieces, then good news: All the S/S 18 trends and products are dropping into stores right now. We've narrowed down 15 key items that will make you excited to try new trends—no matter whether your budget is big or small. Keep scrolling for the ultimate spring 2018 shopping list you can shop at every price point. The '80s are back in a big way for spring 2018. 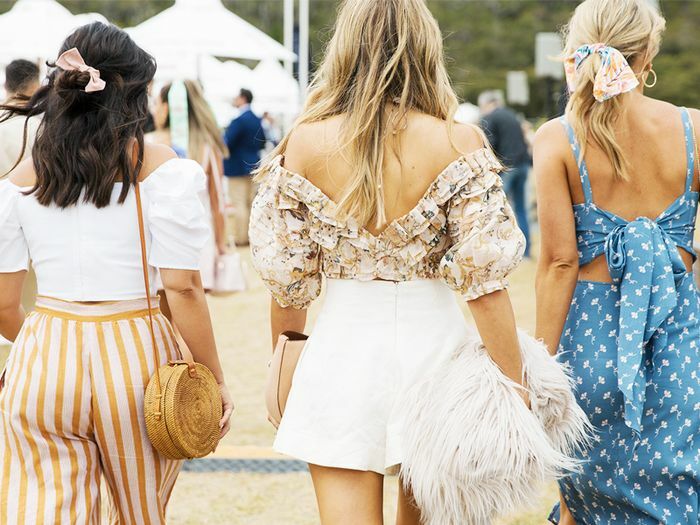 From nipped-in waists to long, lean legs, there are plenty of ways to showcase this decade's recognisable style. However, it's the strong shoulders that are by far our favourite way to pay tribute to the era. The trend of over-the-top evening wear is also drawn from the '80s. Think bold ruffles in luxurious and garish textures with short hemlines. Not every trend has to be new. Trench coats were everywhere on the S/S 18 runways and came in the form of both deconstructed and traditional. So whatever camp you fall into, just know that you'll be onto a winner. Ah, the "ugly"/"dad"/"geeky" sneakers. While some might still struggle to get on board with this trend, the truth is that it's here to stay. Louis Vuitton's versions made a real impact for S/S 18, but there are plenty more options to choose from. Suits don't have to be black, pinstripe or boring. There are myriad colours to choose from this season that will make you look immediately put together and fun at the same time. The belt bag is a misunderstood trend. The truth is that these pockets are incredibly useful for storing essentials, they leave you hands-free, and they double up as a chic belt. What isn't to love? Chanel sent look after look down its S/S 18 catwalk featuring plastic in all forms. From clear PVC boots to bags as well as rainproof hats, the fashion house confirmed this was set to be one of the materials of the season. While many designers showcased their fashion house's logos in their collections, Fendi's classic F pattern has become one of the most covetable. It's not just checked coats that are big for the upcoming season. It's the pattern to wear on everything from skirts to tops as well as scarves and trousers. Get decked out in check. Step aside, gingham—it's time for polka dots to shine. Best worn on a dress but also perfectly pretty on blouses, too. 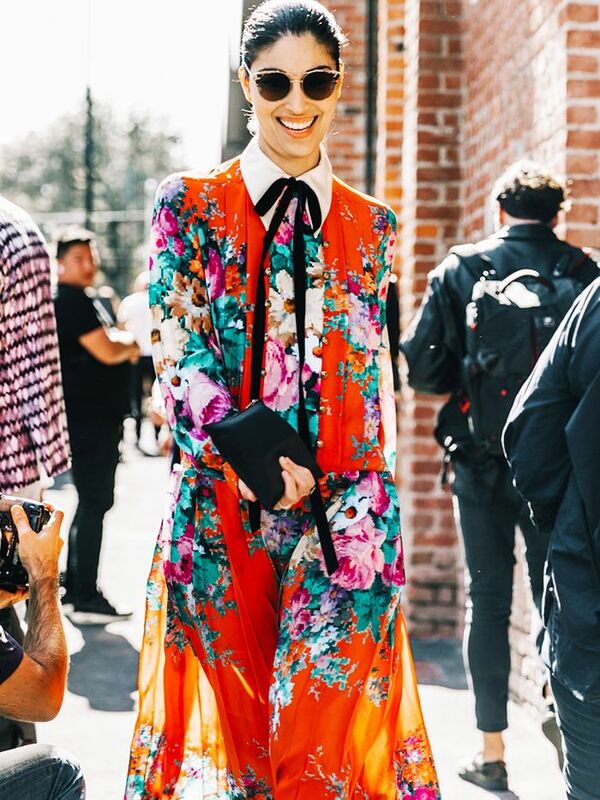 Florals were due an overhaul, and luckily, this year is when they get the chance to be cool again. Opt for vintage-style floral patterns on long, floaty dresses or retro-shaped frocks. Your new office style can really revolve around the pencil skirt this season. The only tweak is that it's midi rather than knee-length. This is one of the most flattering silhouettes of the season—if not your life! Mint, lemon, lilac, and baby blue—any pastel shade is good for 2018. The most directional way to wear yours is in strange, clashing colour combos. Ah, the yellow dress. Whether you think it's the La La Land effect or the influence of Generation Z Yellow (the colour set to take over Millennial Pink), there's no denying this bold investment will make your wardrobe a happier place. Not into pastels? Fear not, as colour-blocking bold hues is also a major look for the upcoming season. Think pinks with red, yellows with purple and blues with oranges. And never try to tone it down.